We are Gas Safe registered, experienced, qualified and reliable team of expert plumbers based in London, offering services at very competitive prices. All our installations are done by our Gas Safe Accredited Engineers. Licensing ensures that the plumber or heating engineer visiting your home is reputable and qualified to do the work to the highest of standards. Specialising in Heating Services and Underfloor Heating we work in South West and Central London and surrounding areas providing a friendly, professional service that leaves customers feeling 100% happy. 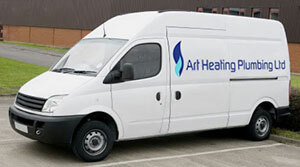 Art Heating Plumbing Ltd has a clearly developed business strategy which has made it the one of the most successful plumbing companies in London. We have a program of continual expansion and with an accelerated demand for our services we are continually increasing our highly skilled workforce. If you are planning to install or upgrade your central heating system, please contact us for a competitive quotation. Our team of local plumbers has the qualifications and experience to complete a wide range of new installation projects quickly and efficiently. For a quotation on any of the services covered on our website, please contact us. Whatever your plumbing needs, you can rely on Art Heating Plumbing to get the job done properly. Our vans are fully equipped to handle any plumbing emergency or service whether it's 12 noon or 2AM! Art Heating & Plumbing offers a reliable service to anybody requiring repairs or installations to their central heating or boilers. Most people would say that finding a good reliable plumber is not an easy task. There are approximately 20,000 plumbing businesses and around 120,000 people who call themselves professional plumbers in the UK, unfortunately for customers not all of these 'plumbers' hold qualifications or have experience which is relevant. Read more on areas we cover. Combine this with a general plumbers shortage and the result is a severe lack of consumer confidence. That problem Art Heating Plumbing Ltd is now addressing. Our plumbers in London are on time and get on with the job asap. 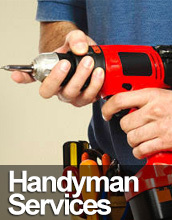 All of our plumbers are checked and vetted and operate to a strict code of conduct. They each have complete responsibility for their own area so you can be sure that you’re always dealing with the same person. So do not hesitate to call us today for a free quote and impartial advice. We're a successful plumbing business because people have come to know they can rely on us for fair, and extremely affordable rates. We're often a good deal less expensive than our competition.